This superb custom built home is located in the neighborhood of Four Creeks. The home is 7 years old and has 4 bedrooms, a den, a bonus room and 4 baths in 4110 square feet of living space. Some of the top of the line amenities include: wood wrapped windows, coved ceiling, crown molding, butler's pantry, sound system throughout interior and exterior, corian countertops, gas island cooktop, custom wine bar, random oak flooring, auxiliary generator, and so much more. 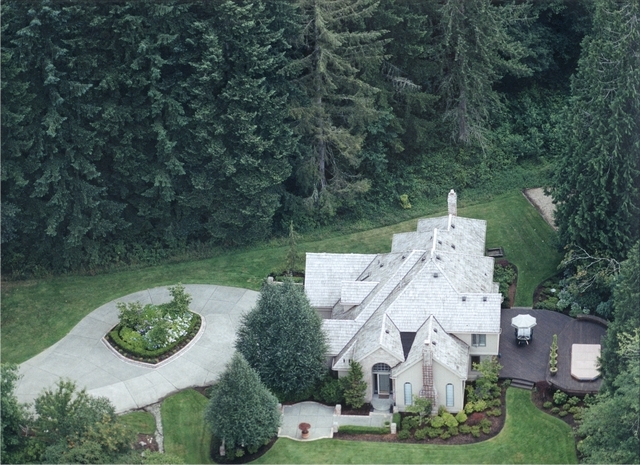 2.07 acres of manicured grounds sits proudly high and dry on 1,000 ft. of Issaquah Creek. The lap spa provides the opportunity for relaxation as well as exercise. Large open space has plenty of room for a tennis court or room to roam in a private setting. Bonus room with back stairway has what everyone wants....more space for the kids or whatever the need be. Superb Issaquah Schools.